The Save the Children Report, State of Motherhood 2014, “Saving Mothers and Children in Humanitarian crisis” states that each day 16 women die trying to give life in Uganda while an estimated 800 mothers and 18,000 young children around the world die from largely preventable causes. Last year Uganda Population Secretariat reported that of the 1.2 million pregnancies recorded annually, 25 % of these are teenage pregnancies. More than 300,000 of these teenagers who get pregnant also account for the bulk of unintended pregnancies. This state of affairs has not spared either the school goers or the non-school goers. Needless to say, the effects spill over on to their health, economic, and social status. 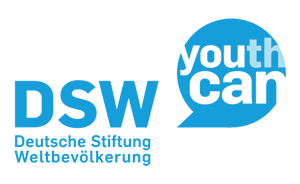 DSW, through its strategic goals and objectives is working with young people through ITS 400 youth clubs to see that young people make informed choices and enjoy motherhood. In 2012, we established an adolescent health working group within the Ministry of Health. The purpose of this group is to coordinate stakeholder in the area of adolescent health. Moreover in 2013, DSW worked closely with the Ministry of Health and UNFPA to draft TORs guiding the work of this group. The TORs were presented and approved by the Maternal and Child Health technical working group which reports Ministry of Health. Also in 2013, DSW’s work helped prioritize different elements of Adolescent Sexual Reproductive Health (ASRH) in 5 district work plans. The districts include Mityana, Mukono, Busia, Tororo and Wakiso. 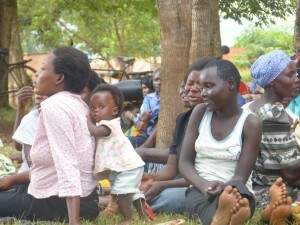 Among the issues prioritised were the recruitment of health workers, integration of young adolescents’ activities in the district work plans in Tororo and Wakiso among others. Today DSW continues it’s efforts of strengthening referral linkages between communities and health centres for youth as a means to ease access and help reduce teenage pregnancies and other related complications through promotion and provision of youth friendly services across the country.